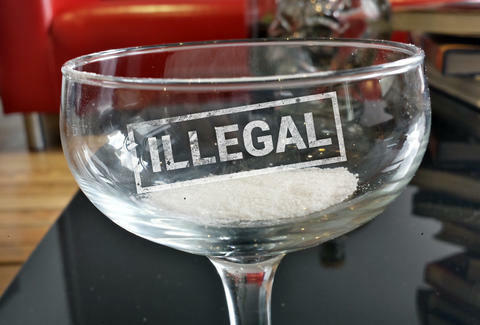 Now that any formalities have collapsed and we're drinking wine out of cans, it was only a matter of time before powdered alcohol became a very real thing. The food scientists at Palcohol have been hard at work developing six varieties of powdered booze -- vodka, rum, cosmopolitan, mojito, lemon drop, and powderita -- that would put an end to cocktail spills forever. For a brief, surreal moment, it looked like The Man was pretty cool with it. That moment was short-lived: after the Alcohol and Tobacco Tax and Trade Bureau initially approved Palcohol, they flip-flopped and said it was a mistake. Shenanigans! Palcohol says the error was due to a label snafu, and still expects their products to hit shelves this Fall, but health experts are taking advantage of the lull to sound some Four Loko-esque alarms -- chief among them that people will snort the stuff. We won't be able to name a victor in this fight until the TTTB makes a decision on the resubmitted labels, so until then you'll just have to get by on booze with powder in it. Kristin Hunt is a food/drink staff writer for Thrillist, and would like to know where the powdered whiskey is. Follow her to happy hour at @kristin_hunt.